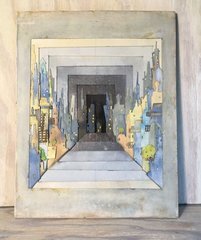 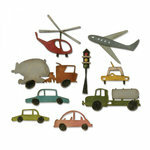 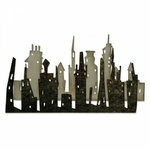 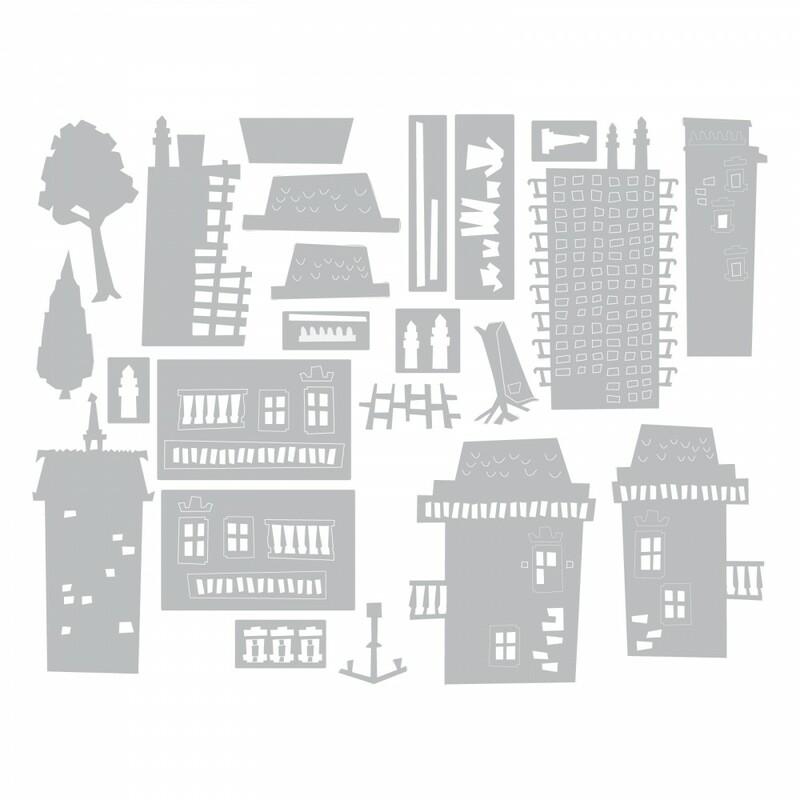 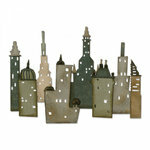 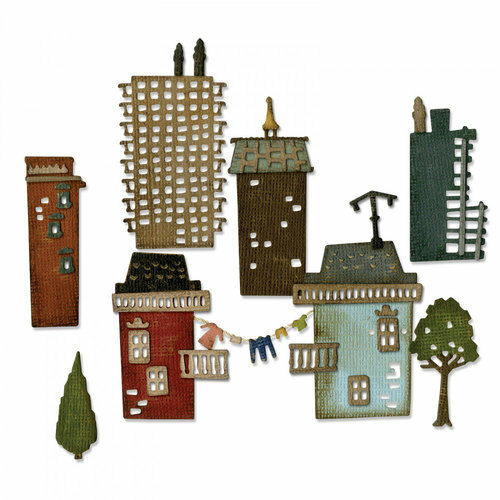 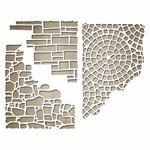 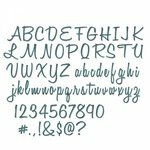 Use the Sizzix Cityscape Suburbia Thinlits Dies to add a big city feel to your project. 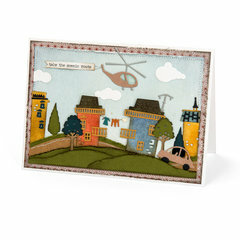 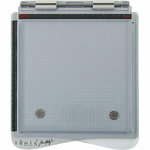 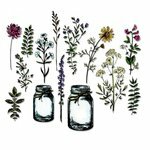 These dies are made of carbon steel, allowing you to cut foil, vellum, paper, and cardstock to create impressive crafts. 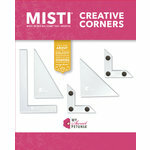 This pack includes a storage envelope so that organizing your die cuts will be simple. 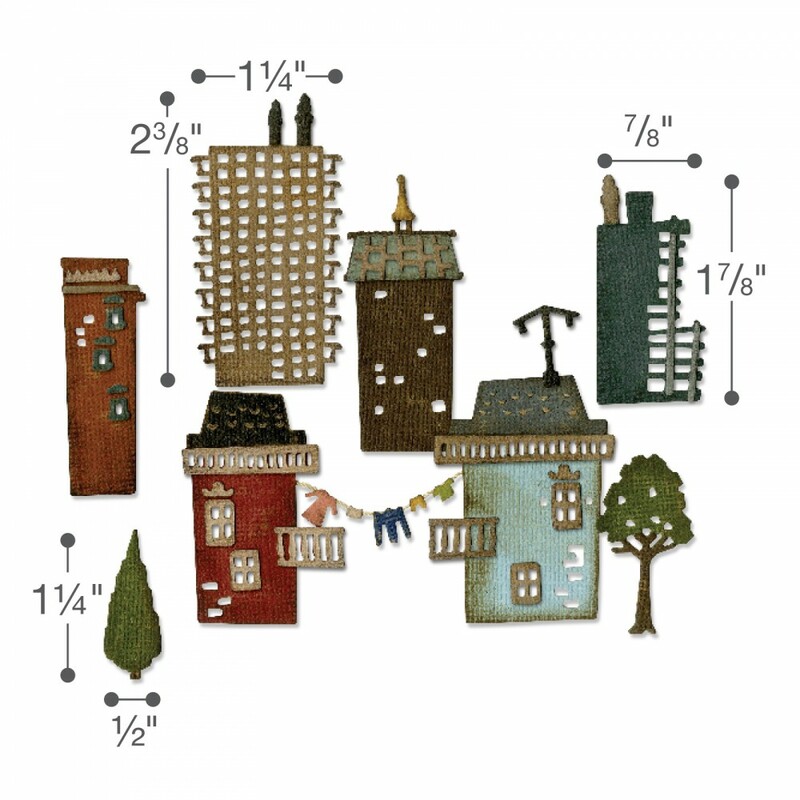 Dies range in size from approximately: 0.125" x 0.25" - 1.5" x 2.625"